Lost team surfers Kolohe Andino, Carissa Moore, Griffin Colapinto, and 12-year-old Australian grom Winter Vincent blowing tail, doing airs, getting tubed, and doing things us mere mortals can only dream of. Growing up as a surfer what did you dream of? Perfect crystal blue waves, tubes, surfing with only your friends, 1,000-waves-per-hour perhaps? For those of us that were born in the late 80’s or early 90’s, we grew up watching Kolohe and Carissa come on to the scene. Kolohe seemed to be every kid’s favorite surfer. He surfed like he was 23 when he was 14-years-old. Now that he is actually 23, well, we all know how refined his surfing is. As one of the most progressive surfers of all time, Kolohe was meant to showcase this progressive technology. Carissa is right in the same age bracket. As a young grom that only watched guys like Andy, Kelly, Chris Ward, Kolohe, for example, Carissa was the first woman surfer that for lack of better words, surfed like a guy in the best way possible. When you see Carissa do a turn, she does it with such power and flow. It’s a pleasure to watch this duo surf the Wavegarden Cove. Let’s not forget about Griffin Colapinto, from southern California. If you aren’t familiar with him already you will be now. This kid surfs and skates like he was doing it in the womb. We weren’t super familiar with Winter Vincent before this and we had to do a double look at the description when we saw 12-years-old. Enjoy the Lost team in the Basque Country. Carissa & Kolohe in awe of the machine. 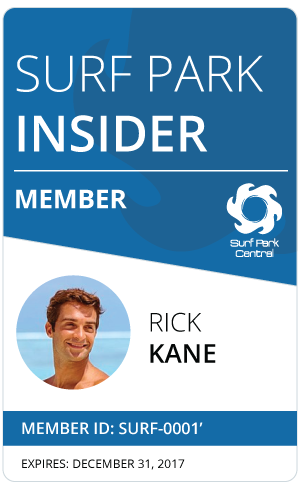 Get the Latest Surf Park News! Surf Park Summit is the largest industry conference designed for surf park entreprenurs, investors, developers, suppliers and industry representatives to accelerate the growth of surfing beyond the coast.